The predictions from 10-15 years ago have proven to be false yet they are telling us how it will be in the bird world 280 years from now with granularity to a week! Scientists at the Cornell Lab of Ornithology say that, in as little as four decades, it may be very difficult to predict how climate change will affect migratory birds. A snippet: La Sorte and co-authors considered minimum and maximum temperatures, and precipitation in the Western Hemisphere, week by week, for 280 years, from 2021 through 2300, under the worst-case scenario: continued high levels of greenhouse gas emissions. 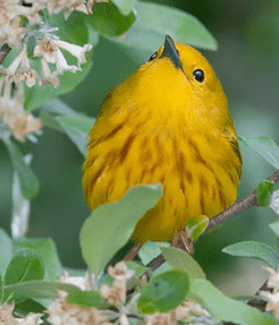 La Sorte says this is the first study to use a combination of climate variables to estimate when novel climates will first emerge, and it is the first study to examine the full annual cycle implications for a large number of migratory bird species.